Frome Stop War presents its fourth ‘Media on Trial’ event and is very proud and excited to host Russian film maker and director Andrei Nekrasov in his first ever live, in depth UK interview. Andrei’s prize-winning film ‘The Magnitsky Act – Behind the Scenes’ is a ground-breaking analysis of the claims of William Browder against the Russian state. Browder’s narrative, much loved and publicised by media on both sides of the Atlantic and in Europe, has resulted in the creation of the US’ Magnitsky Act. In another first, we will be showing Robert Stuart’s crowd funding teaser video for a film to be produced by Victor Lewis-Smith and fronted by Keith Allen. The film will cover the irregularities, dubious claims and collaborations undertaken by those who created the BBC Panorama programme ‘Saving Syria’s Children’. Robert will be interviewed about his work (labelled by esteemed journalist Jonathan Cook as ‘forensic investigation) by independent journalist and co-editor of BSNews, Alison Banville. Once more we will be extremely honoured to host Vanessa Beeley who will have recently returned from Syria. Her heroic work, against all odds to expose the true nature of the media and Hollywood darlings, the White Helmets has been exemplary. Her bravery in travelling to Syria eight times during the conflict to speak to Syrians who’ve suffered under the foreign backed regime attempt there should be accorded the highest honour in journalistic circles, but establishment and corporate media have seen fit to attack and vilify her, The Sun composing the latest smear piece in July. Frome Stop War stands by Vanessa and her work and anticipates another fascinating and important presentation. Professors Piers Robinson and Tim Hayward have been relentless in their academic research and quest to correct mainstream media’s continued non-adherence to factual evidence. Piers has undertaken many interviews, his latest, at time of writing, on Sky News, discussing the seemingly very timely manner of renewed claims in the Skripal case given upcoming events in Idlib, Syria. He and Tim are members of the Syria, Propaganda and Media Working Group of 25 leading academics who’ve produced reports on the Douma attack and the Skripal case. We look forward to their latest informed insights. And finally, but by no means least we once again host former UK Ambassador to Syria, Peter Ford. He is a man of principle who will not yield to pressure to conform to the media’s line on Syria. His laid back demeanour belies a no-nonsense stance. He’s been very forthright in interviews on the BBC when given a rare opportunity to speak, but writes for and appears on independent media. Peter is a member, along with other dignitaries of the Global Network for Syria a cross party organisation which has recently composed a letter to Parliament on the Syrian issue, asking for consideration of an alternative position. Peter’s experience as Ambassador to Syria from 2003 to 2006 and his ongoing connections with Syrians provides an informed analysis, which once again, has mostly been side lined and vilified by establishment and corporate regime change driven media. 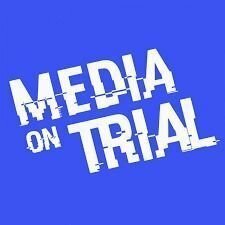 All in all, once again, ‘Media on Trial’ will provide a platform for those given little voice in the mainstream, those who are all too readily attacked by establishment and corporate media and their all too compliant journalistic staff. ‘Media on Trial’, will allow our expert panel to speak ‘Truth to Power’ lacking from mainstream journalism. Please attend this major and historic event.